Even when still, it is evident the 2018 Mercedes-Benz CLA boasts athletic performance in its restyled, refined shape. With aggressive new styling, the CLA demands attention with 18in AMG® wheels and a chrome diamond-block grille. Available new LED headlamps integrate LED Daytime Running Lamps that arch into the side profile, giving the CLA a sporty edge. The 208hp 2.0L inline-4 engine combines turbocharging with numerous advances to deliver more power from less fuel. Its rapid-multispark ignition and high-pressure Direct Injection can fine-tune themselves in milliseconds. Twin-scroll turbo quickly spins up to 230,000 rpm to boost response, with all 258 lb-ft of torque on tap at just 1,250 rpm. An ECO Start/Stop system automatically shuts off the engine at stoplights and other idle situations, to save fuel and reduce emissions. Comfort isn't sacrificed for luxury, the CLA cabin is truly a well-crafted home created with the driver as the main focus. Deep contours and integrated head restraints spill from the front seats to the back, giving optimum support to drive and passengers. Available Apple CarPlay and Android Audio bring entirely new interfaces to the CLA's cockpit. An advanced system of 8 air bags includes dual two-stage front air bags, front side-impact head/torso air bags, dual front knee air bags, and side curtain air bags for both seating rows. The first system of its kind, ATTENTION ASSIST® continuously monitors different parameters of driving behavior, and can automatically alert the driver with both visual and audible warnings if it detects signs of drowsiness on long trips.Even when still, it is evident the 2018 Mercedes-Benz CLA boasts athletic performance in its restyled, refined shape. With aggressive new styling, the CLA demands attention with 18in AMG® wheels and a chrome diamond-block grille. Available new LED headlamps integrate LED Daytime Running Lamps that arch into the side profile, giving the CLA a sporty edge. The 208hp 2.0L inline-4 engine combines turbocharging with numerous advances to deliver more power from less fuel. Its rapid-multispark ignition and high-pressure Direct Injection can fine-tune themselves in milliseconds. Twin-scroll turbo quickly spins up to 230,000 rpm to boost response, with all 258 lb-ft of torque on tap at just 1,250 rpm. An ECO Start/Stop system automatically shuts off the engine at stoplights and other idle situations, to save fuel and reduce emissions. Comfort isn't sacrificed for luxury, the CLA cabin is truly a well-crafted home created with the driver as the main focus. Deep contours and integrated head restraints spill from the front seats to the back, giving optimum support to drive and passengers. Available Apple CarPlay and Android Audio bring entirely new interfaces to the CLA's cockpit. An advanced system of 8 air bags includes dual two-stage front air bags, front side-impact head/torso air bags, dual front knee air bags, and side curtain air bags for both seating rows. The first system of its kind, ATTENTION ASSIST® continuously monitors different parameters of driving behavior, and can automatically alert the driver with both visual and audible warnings if it detects signs of drowsiness on long trips. 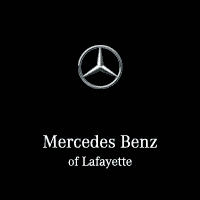 In Lafayette, LA, we at Mercedes-Benz of Lafayette are known for being the leading dealership for incredible pricing on the latest Mercedes-Benz models. Whether you want safety, speed, performance, amenities, or style, we’ve got the dream model waiting for you in our lot. While we stock both new and used cars in our inventory, we’re proud to always house the latest additions to the Mercedes-Benz family. Our newest is the 2019 Mercedes-Benz CLA, a high-performance model with all the latest features and safety measures. The four-door 2019 Mercedes-Benz CLA doesn’t disappoint on engine capacity or efficiency. With a semi-automatic, 7-speed, dual clutch transmission, it boasts a regal horsepower of 208 at 5500 RPM at the base model, going up to 375 horsepower at 6000 RPM on the AMG® CLA 45 model. The 2019 CLA engines are intercooled, 2.0 liter, four-cylinder Turbo models that can provide a torque of 258 ft.-lbs at 1250 RPM or go up to 350 ft.-lbs at 2250 RPM for the Mercedes-Benz AMG® CLA 45. They require premium unleaded gasoline, and they get 24 mpg in the city and up to 37 mpg on the highway, according to EPA estimates. The standard Mercedes-Benz CLA 250 four-door Sedan model comes equipped with front-wheel drive, but the CLA 250 4MATIC® four-door Sedan AWD and AMG® CLA 45 models come with all-wheel drive. All the 2019 CLA models tout power and high performance, but the AMG®’s punch can’t be beat. All Mercedes-Benz CLA 2019 models feature an array of standard amenities for your convenience and enjoyment. Each model boasts standard audio setups with USB, auxiliary cable, and memory card options, as well as AM/FM radio systems. With the AMG® CLA 45 model, you can also get a high-quality Harman/Kardon audio system with a subwoofer, discrete surround sound through 12 speakers, 450 watts of stereo output, and speed-sensitive volume control. You’ll also get six months of free satellite radio with your new Mercedes-Benz. With the AMG® 45 model, you’ll also be able to opt for unique AMG® customizations, such as RECARO front seats, black seat belts, performance steering, and specialized illuminated door sill panels. The 2019 Mercedes-Benz CLA brings the world of convenience and amenities home to your car, with more standard convenience and entertainment amenities this year than we’ve ever seen before. Protect what matters most—you and your loved ones. With the 2019 Mercedes-Benz CLA, you’ll enjoy a wider selection of available and standard safety features than in previous years. Dual-stage frontal air bags come standard on both the driver and passenger sides, as well as side, body, and head airbags. There’s a 4-wheel ABS on board, child safety rear door locks, daytime running lights, traction control systems, a tire pressure monitoring system, a backup camera, and electronic stability control. Side impact beams protect you during accidents, as do the mbrace® Emergency SOS and Connect systems and active brake assist for forward collisions—all standard on the 2019 models. Pre- and post-collision safety systems reduce the severity and likelihood of accidents, and if you opt for the AMG® CLA 45 model, you can get blind spot awareness, fatigued driver awareness that detects distracted or tired driving, and LED headlamps to enhance your protection. Overall, few vehicles compare with the Mercedes-Benz CLA 2019 models when it comes to style, performance, and luxury. They’re at the ideal price point for a subcompact luxury sedan, and the safety features are the most advanced that the market has to offer. The 2019 Mercedes-Benz CLA models bring increased performance and prioritized comfort from the previous years, with expert precision handling that makes for an exhilarating drive. At Mercedes-Benz of Lafayette in Lafayette, LA, we strive to make your browsing and purchasing experience as enjoyable as driving your new Mercedes-Benz will be. With certified technicians and both new and used car selections, our line of high-quality, high-performance luxury vehicles will impress you, and our pricing and deals will make your purchase that much more satisfying. Whether you’re searching for luxurious standard amenities or unbeatable safety ratings, we’ll ensure you drive off our lot with the car of your fantasies. Enhance your driving experience. Contact us today to shop for your 2019 CLA.